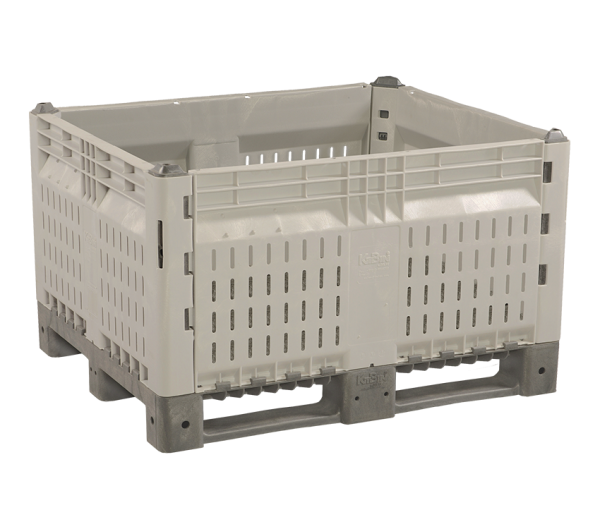 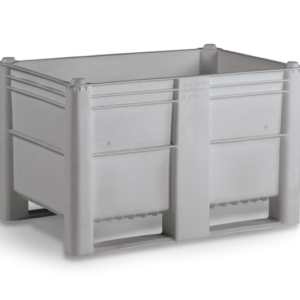 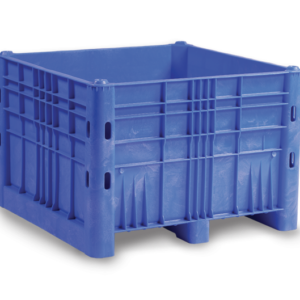 Bulk bin with detachable pallet base. 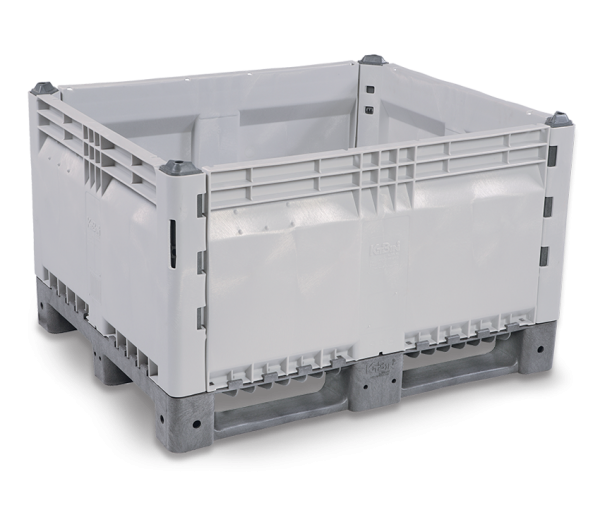 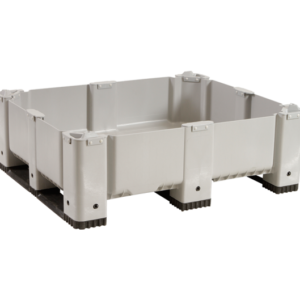 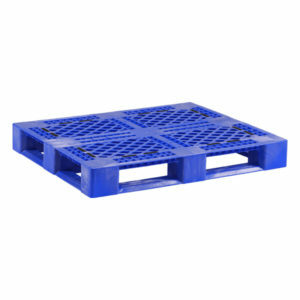 When disassembled, four bins fit inside one KitBin and pallet bases nest on top, so five bins fit in the footprint of one. 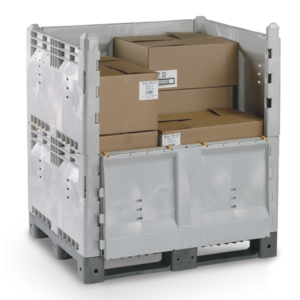 You save up to 75% in storage or transport space. Because bin walls are removable and interchangeable, they can be individually replaced if needed, reducing downtime, replacement, and inventory costs. Bins assemble easily by one person in less than a minute.